This lovely detached cottage, near the owner's home, with a hot tub is situated in a quiet hamlet, two miles from Church Bay and the Irish Sea, on the western coast of Anglesey and can sleep ten people in five bedrooms Rhiangwyn is a lovely detached cottage, near the owner's home, with a hot tub situated in a quiet hamlet, two miles from Church Bay on the western coast of Anglesey and can sleep ten people in one king-size double bedroom with en-suite, two doubles (one on the ground floor), and two twin rooms. There is a family bathroom and ground floor shower room. The rest of the cottage contains a kitchen with dining area, utility, a dining room, a sitting room with open fire, a snug with woodburner and a conservatory. To the outside of the property there is off road parking for two cars and additional roadside parking nearby. 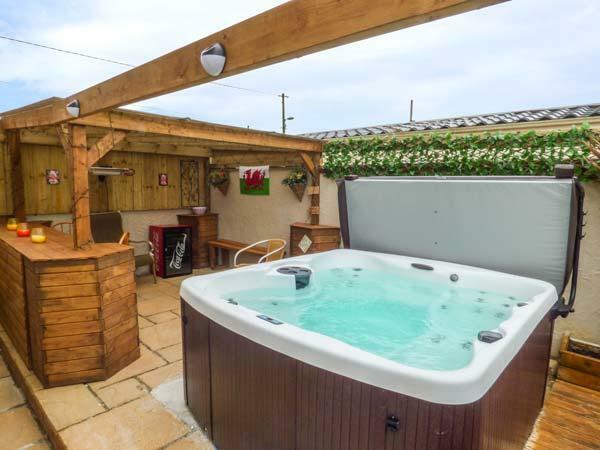 There is a front lawned garden and a rear enclosed garden with decked area, furniture, barbecue and hot tub. 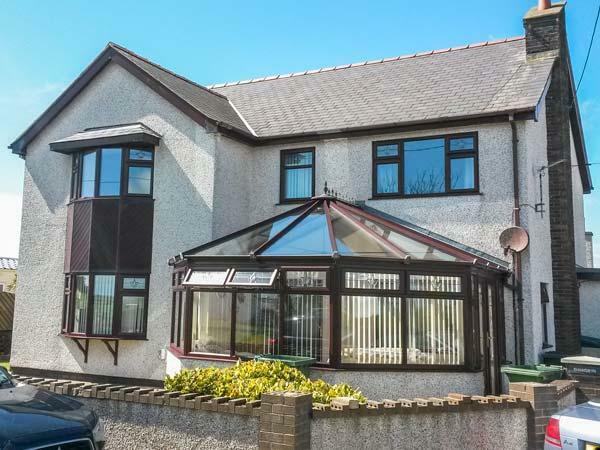 Rhiangwyn offers spacious quality accommodation for families or friends looking to explore the Isle of Anglesey. Amenities: Oil central heating with woodburner and open fire. Range cooker with electric oven and hob, microwave, fridge, 2 x freezers, wine chiller, washing machine, tumble dryer, dishwasher, 3 x TVs with Freeview, DVD, WiFi. Fuel, power and starter pack for woodburner and open fire inc. in rent. Bed linen and towels inc. in rent. Travel cot, highchair and stairgate on request. Off road parking for 2 cars, additional free roadside parking outside on quiet road. 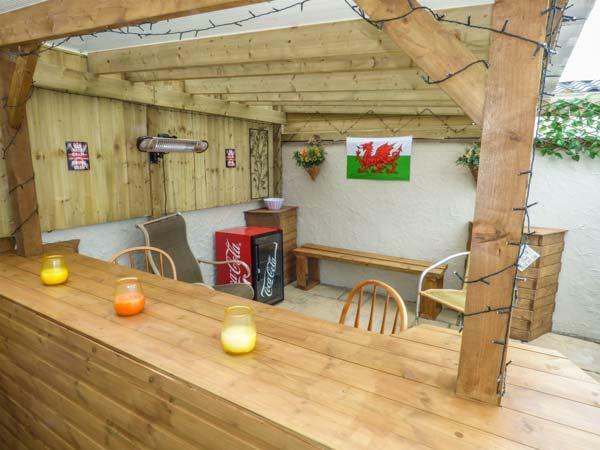 Front lawned garden and rear enclosed lawned garden with decking, furniture, BBQ and hot tub. Two well-behaved dogs welcome. Sorry, no smoking. Shop and pub 1 mile. Region: Famous for its choirs, stunning mountain ranges and beautiful valleys, this wonderful country has something for everyone. From Snowdonia in North Wales to the Brecon Beacons and the Pembrokeshire Coast in the South. Town: Church Bay nestles on the North West coastline of Anglesey, boasting a Blue Flag sandy beach, renowned for its safe, family fun. Close by, the village of Llanfaethlu provides a local shop and a Post Office. Indulge in fabulous watersports, including kitesurfing, diving and sailing at the stunning Rhosneigr beach, or enjoy 18 holes at a choice of three local golf courses. Additional amenities include: cooker.